The coveted Pantene Bridal Couture Week 2018 is starting on 7th December! Therefore, we at Siddysays are delighted to bring you a recap of the highlights of Bridal Couture Week 2017. Pantene Bridal Couture Week is a brilliant platform for designers to showcase their creative spectrum. From traditional to avant garde, no matter how out there or eccentric, BCW has it all. It is one of the premier bridal fashion shows in Pakistan. Vaneeza Ahmed choreographed BCW in 2017. It was styled by Nabila and Hamna Amir provided the jewellery. Pantene Bridal Couture Week 2017 had all the big names in bridal wear. We saw Hassan Shehryar Yasin, Nilofer Shahid, Kamiar Rokni, Ali Xeeshan, Mehdi, Asifa & Nabeel and Fahad Hussyn to name a few. 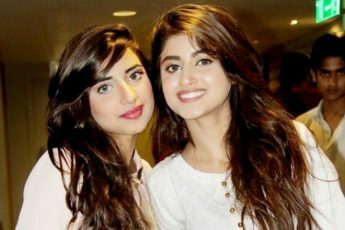 BCW 2017 was a celebrity packed event. 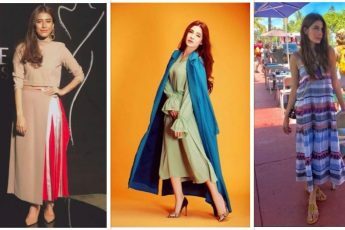 We also saw Hareem Farooq, Mawra Hocane, Quratulain Baloch, Saba Qamar, Ahsan Khan and Sajal Aly on the ramp as show-stoppers for various designers. The predominant colour palette at BCW 2017 were soft neutrals in addition to the many reds. Fahad Hussayn’s collection was inspired by Arth the Movie. It was titled ‘Arth Novelty Couture’. It consisted of delicate lace work and hand painted vintage prints on a canvas of gold, reds and pinks. He stuck to his design philosophy to deliver yet another popular collection. Zonia Anwar presented a collection with neutrals and reds. Some of the outfits were made for royalty. Whilst others, seemed a bit risky for the catwalk. All in all her collection was well received. Aisha Imran’s collection was titled ‘Jahan Ara’ and stuck to the seasonal colour palette of soft neutrals and reds. It paid ode to royalty as the collection was inspired by Mughal architecture. Aisha’s use of deep reds and greens added richness to the colour palette. Meanwhile, the use of gota patti added depth and tradition to her design. Maheen Ghani Taseer showcased an array of fabrics and colours, ranging from dark to light. Her collection boasted some wardrobe staples. Such as but not limited to, the long black velvet coat with minimal embroidery and a white underlay. Hassan Shehryar Yasin is a man who enjoys innovation in design. I still remember the first HSY bride I saw: she wore a beautiful saffron bridal and this bride was not your quintessential fair girl. She had the most wonderful earthy complexion. While the saffron bridal hues highlighted all her best features. This was from a time when bridals were RED and no other colour. HSY’s 2017 collection for BCW was reminiscent of his earlier play on colour and he paired silver embroidery with a beautiful peachy orange for an unforgettable bridal outfit. Ali Xeeshan is a man on a mission: he believes in social change and delivers these messages through his work. At Bridal Couture Week 2017, Ali Xeeshan collaborated with UN Women to raise awareness on the issue of child marriages. Ali’s bridals are everything you don’t expect from a stereotypical bridal. For BCW 2017, he opted for reds, whites, yellows, blues and, as always, delivered some stunning bridal outfits. For menswear, Royal Tag presented a collection that stood out the most. Hasaan Shehryar Yasin was a showstopper for Royal Tag. Our favourite piece from this collection was a deep maroon tuxedo. It was stitched to perfection. 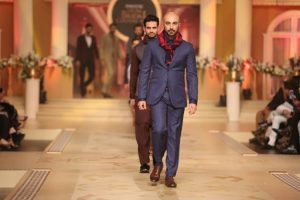 Lajwanti and Amina Yasmeen both presented a bold menswear collection at Bridal Couture Week 2017. Munib Nawaz’s collection was a tribute to Ghalib. Munib stuck to his design and style philosophy, bringing rich colours with intricate detail to the ramp. His designs were sleek, modern and forward thinking. Munib continues to be a forerunner in menswear in Pakistan. 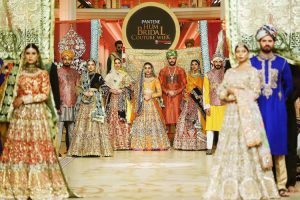 All in all as expected, Pantene Bridal Couture Week 2017 presented some beautifully designed and perfectly executed bridal and groom outfits. This year around we are super excited to see what BCW will bring us. We are hoping there will be vibrant colors, star-studded red carpet and of course, some amazing fashion. Who else is looking forward to BCW 2018? We sure are!